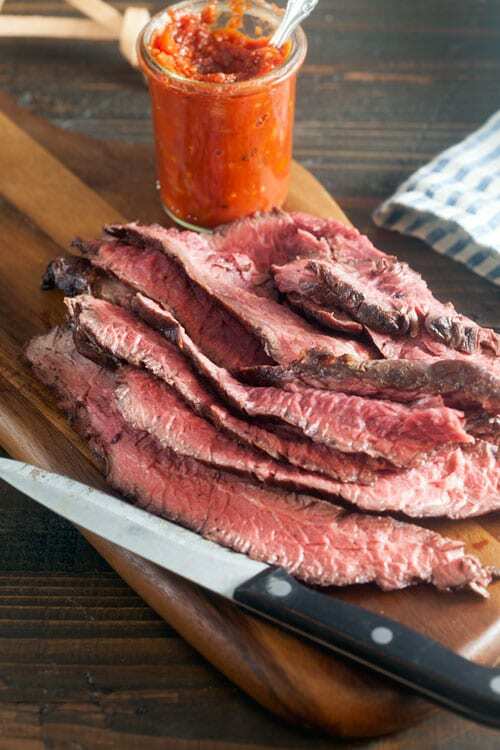 Tomato relish flavored with vanilla and smoked paprika is a great accompaniment to coffee-rubbed steak so tender it practically melts in your mouth. 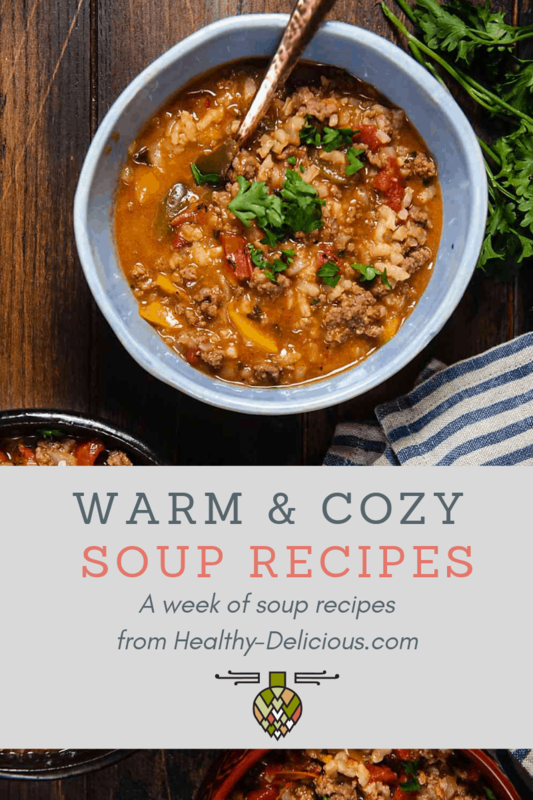 I partnered with Nielsen-Massey Vanillas to create this recipe. When they asked me to come up with one course for a vanilla-themed cookout menu, I immediately knew I wanted to tackle the main entree. I’m just a sucker for punishment like that. After a momentary “what on earth was I thinking” freakout, it didn’t take long at all before I had a full page of recipe ideas, from ribs to seafood kebabs. 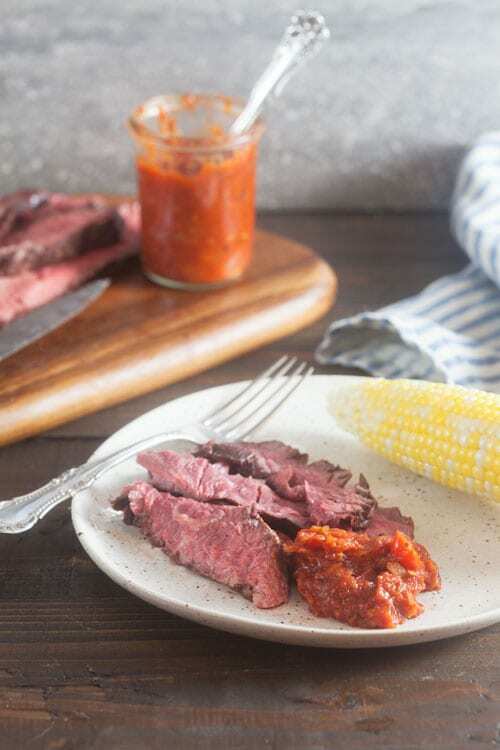 I kept coming back to the idea of this tomato relish, and ultimately decided to serve it with a super savory, melt-in-your-mouth steak. 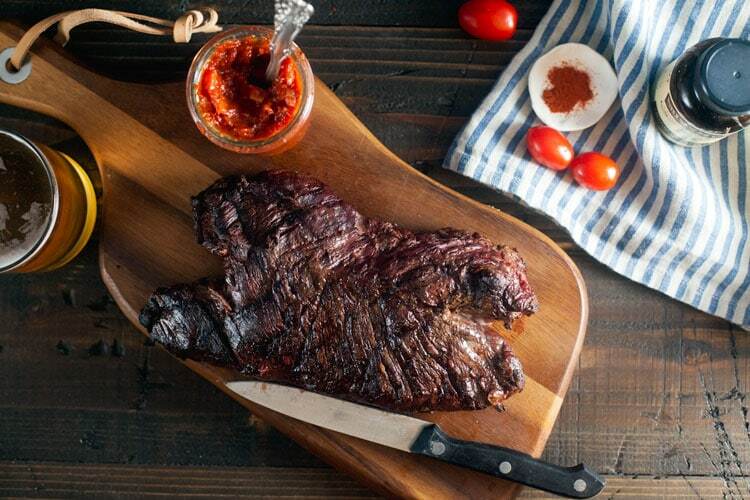 The relish is flavored with musky vanilla bean paste and smokey paprika – I was inspired by Spanish flavors. I like using canned tomatoes in recipes like this since the quality is more consistent (especially when tomatoes aren’t in season.) I decided to use fire-roasted tomatoes for an extra layer of smokey flavor. Then I added a pint of fresh tomatoes, minced shallot, and apple cider vinegar to brighten the flavor. 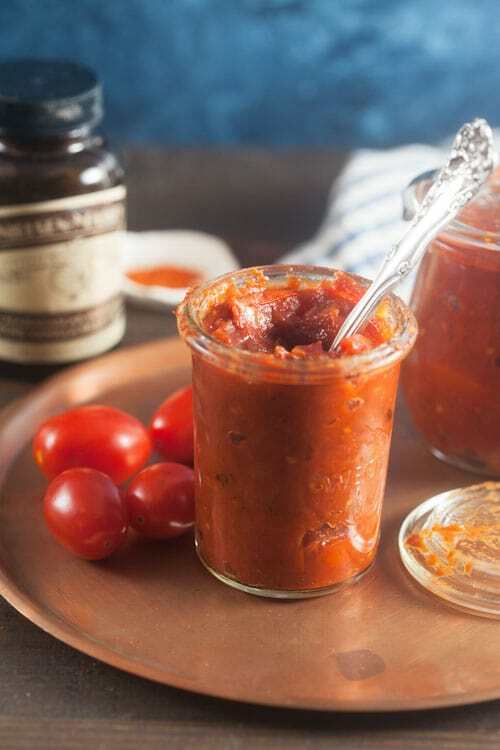 The result is a thick, jammy sauce that’s full of bright tomato flavor. It’s delicious on steak, swordfish, or even spooned over crostini as a simple appetizer. 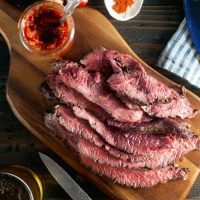 For the steak, I made a delicious rub with kosher salt, Nielsen-Massey coffee extract, and cumin, then grilled it to a perfect medium-rare. Slice the steak against the grain for maximum tenderness. 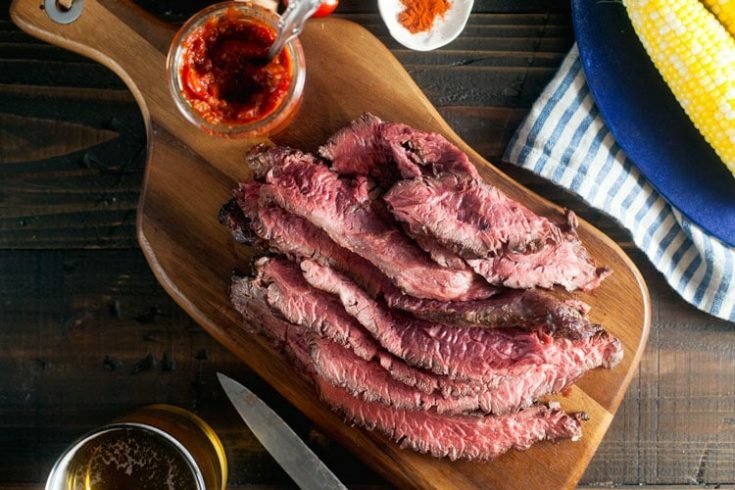 Looking at the whole steak above, that means you’d want to slice the steak the long way – but you can cut it in half cross-wise for more manageable pieces. Serve it on it’s own with corn on the cob and a simple green salad, or pile it into corn tortillas. I created this recipe for my client, Nielssen-Massey Vanilla. Thanks you for supporting the brands that keep me inspired in the kitchen and help make running this blog possible. OMG! How can this post only have one comment? It sounds really amazing. I am putting this in my Buffer to share on Facebook. 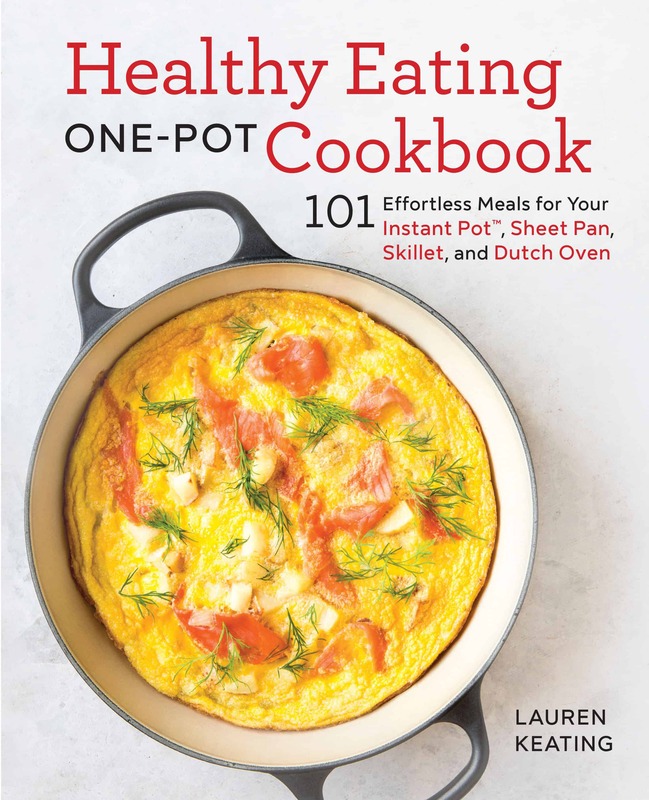 It looks absolutely amazing and I love how you used the flavor extracts to provide a complex flavor. Thanks for sharing this recipe! This sounds really interesting and I would love to try making this. I love all your ingredient. Thanks for sharing.